First Aid Posters – Share first aid safety messages with your colleagues with these handy printable posters. One annual fee – limitless benefits. 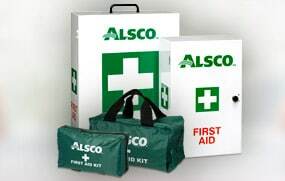 Alsco’s rental service comes with quarterly servicing, free refills, WHS compliance, and hospital-grade materials. 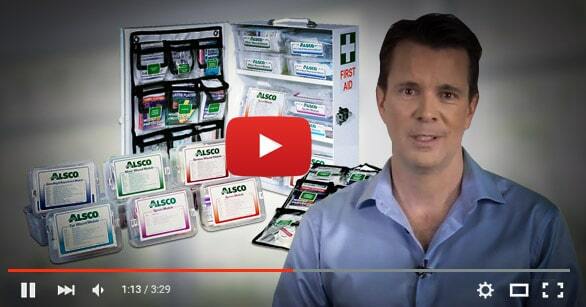 There’s a reason why thousands of Australian businesses choose Alsco for first aid supplies. Buying a first aid kit seems like a good idea. In fact, many businesses do. But after they experience the hefty initial costs, complying with complex WHS regulations, relentlessly replacing stock, and the piles of admin work involved….well, they’re often quick to contact Alsco. We take care of every detail. Because our rental program is more than just rental. It’s year-round peace-of-mind for your business. With a single, fixed annual fee and quarterly servicing, we maintain, restock, and keep you up-to-date with complex, ever-changing regulations – at no extra cost. That’s our guarantee. First Aid Kits & Cabinets feature convenient, colour-coded modules, hospital-grade supplies, and regular restocking – at no extra cost. 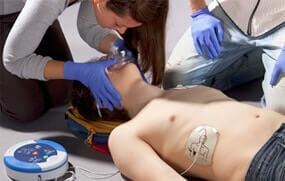 You can’t predict a cardiac attack, but you can be prepared. 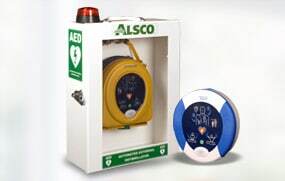 Alsco’s world-class defibrillator, the ‘HeartSine Samaritan 500P’ is a leader in its field. 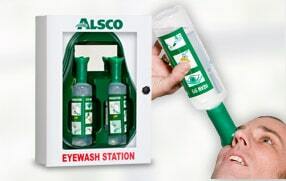 Portable, low-cost, and easily-installed, our eyewash stations are ideal for workshops, labs, kitchens, schools and hazardous industrial situations. On-site first aid and fire warden training. Follows an intuitive, 7-step program, and is tailored to fit your business’s unique training needs. Get a Free first aid motorist kit! How Can You Benefit From Renting Vs Buying? When you rent with Alsco, you pay one, single fee. That’s it. Alsco’s unique managed rental service covers you for year-round maintenance, restocking, WHS updates and short-notice supplies – at no extra cost. With Alsco, you can save time and be kind to your cash-flow – simultaneously. With Australia’s WHS regulations, your business can be fined for up to $3,000,000 for lack of compliance. With Alsco, that worry vanishes. Our seasoned professionals regularly check your kits for compliance with the most recent WHS regulations. With Alsco, the time wasted on WHS checks is returned to you and the stress and worry – disappears. Have a specific schedule for maintenance? Unique requirements for first aid kits? Perhaps you need extra supplies one day? Alsco’s team of professionals are happy to fit their approach to your business…making our managed rental service an even greater no-brainer. Day-to-day, company-wide safety for less than a cup of coffee? Absolutely! 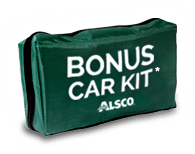 With Alsco’s fixed, annual fee – you get quarterly servicing and limitless* kit refills – at no extra cost. Avoid the cripplingly large purchase fees and be kind to your cash-flow with Alsco’s managed rental service. Your employees and your bank account will thank you for it.